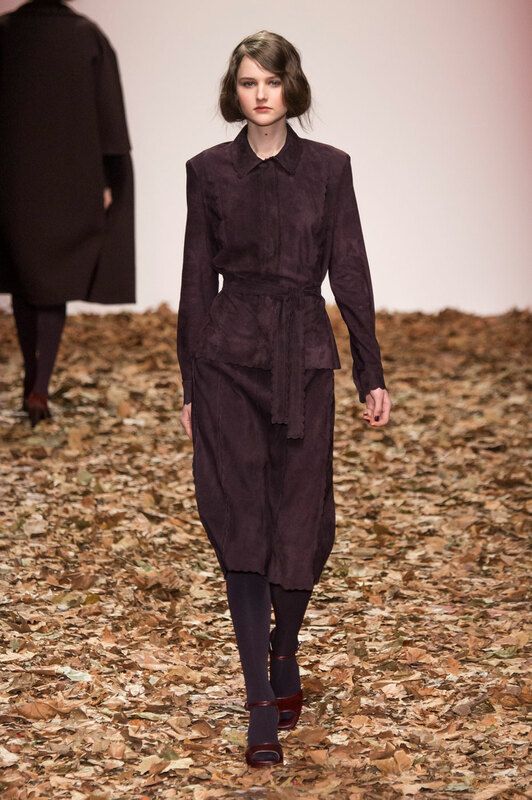 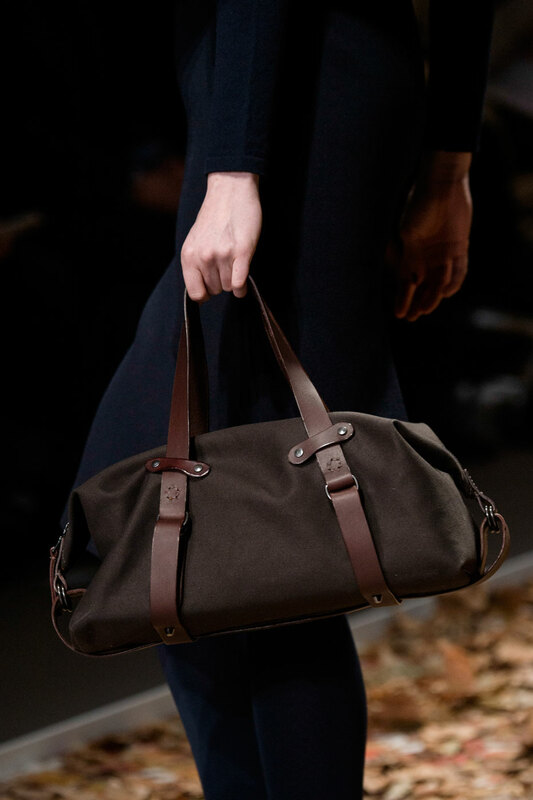 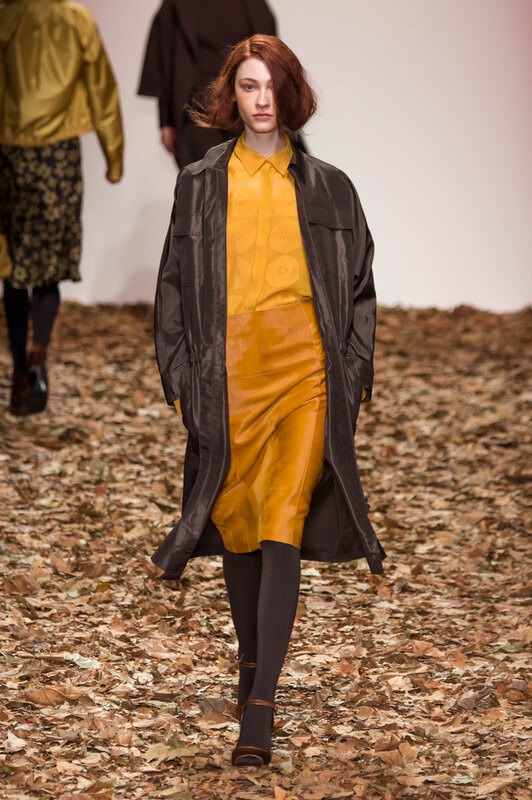 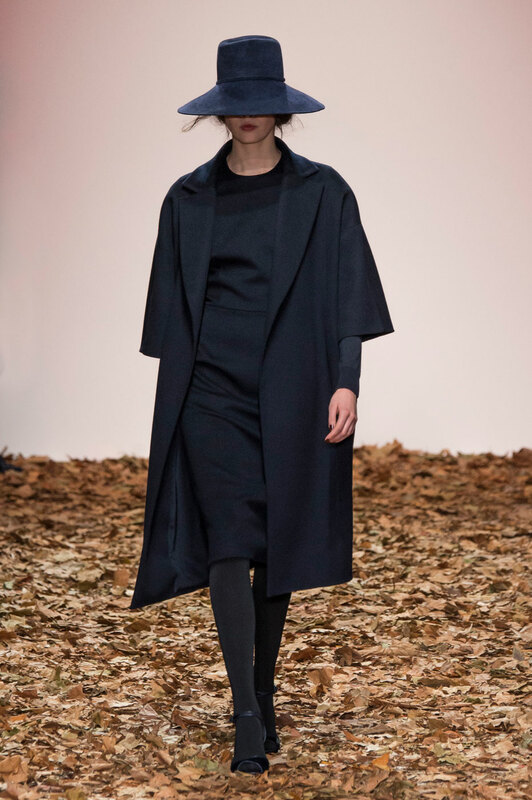 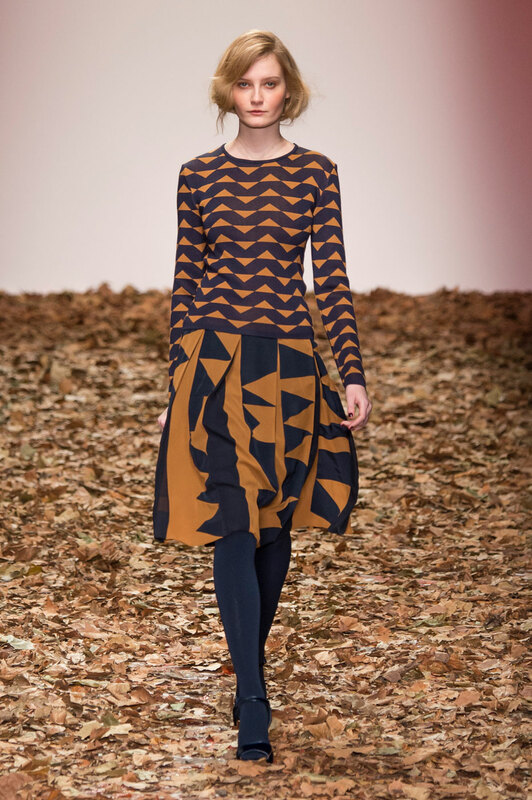 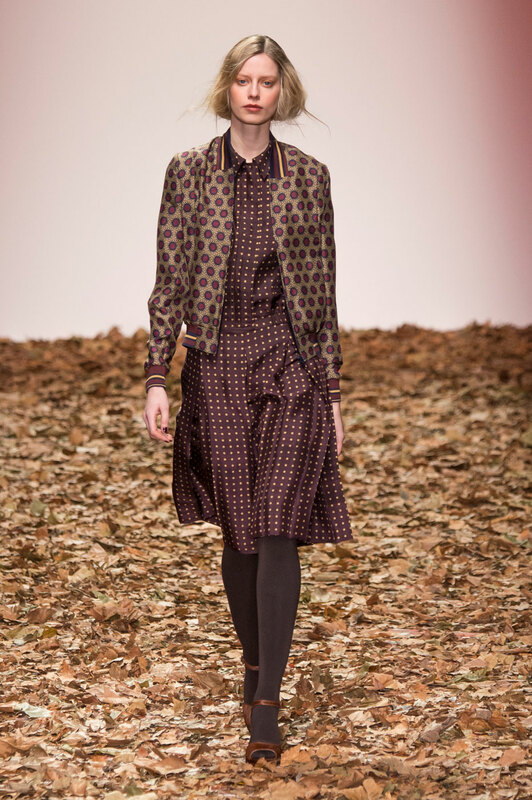 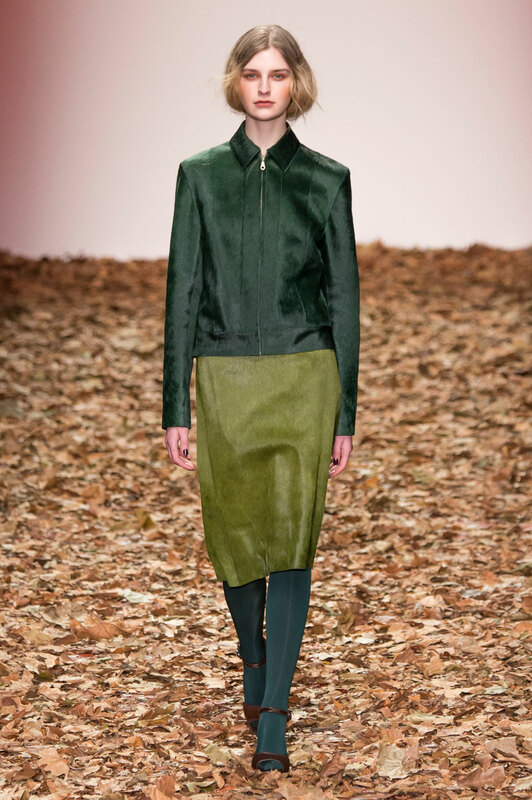 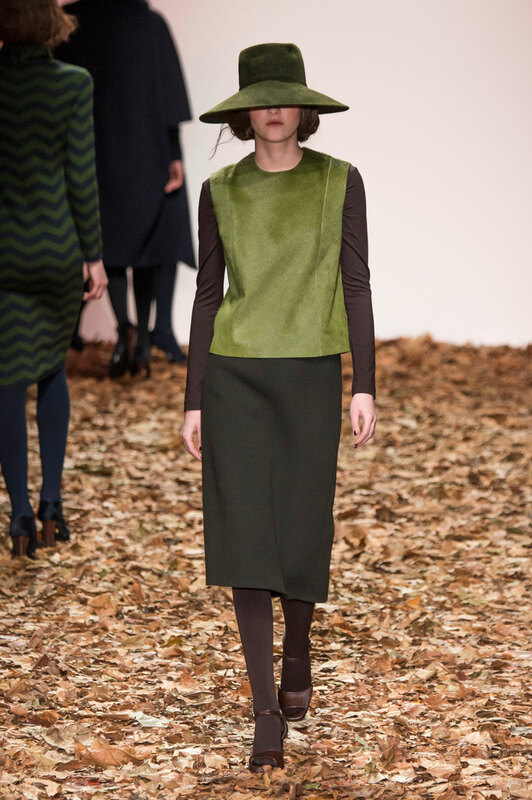 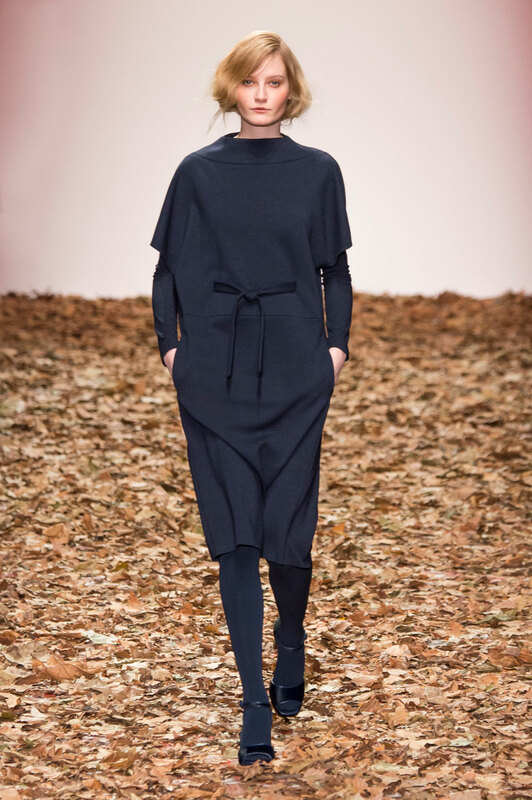 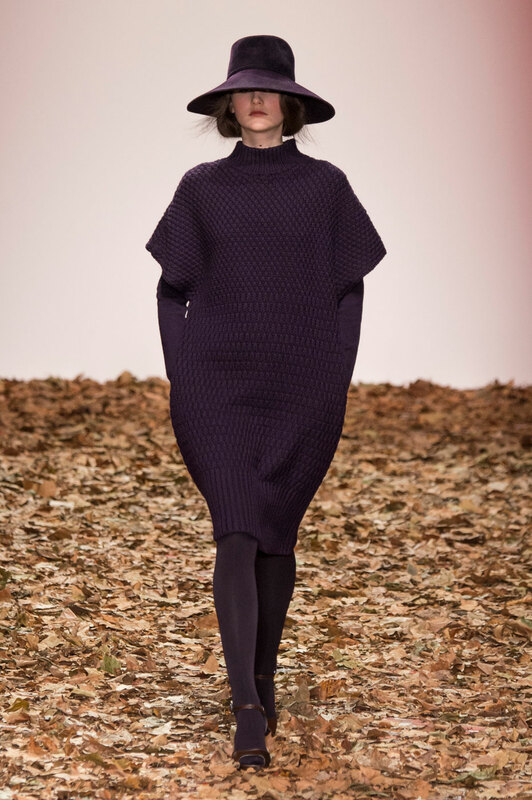 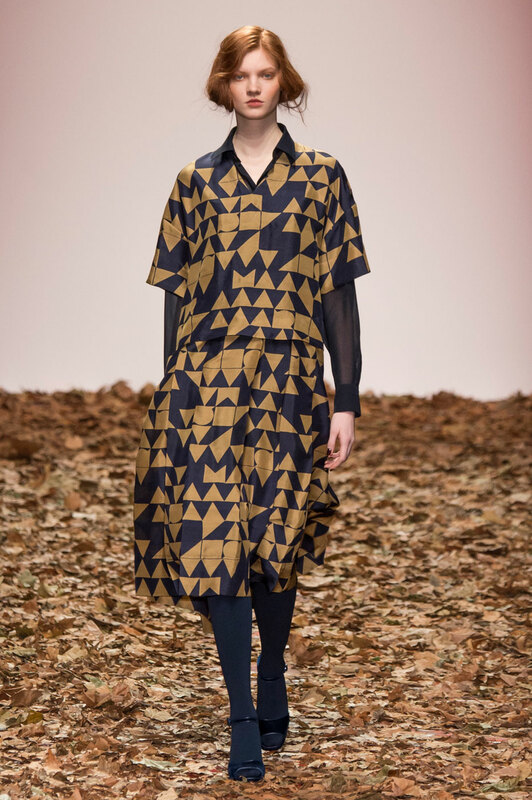 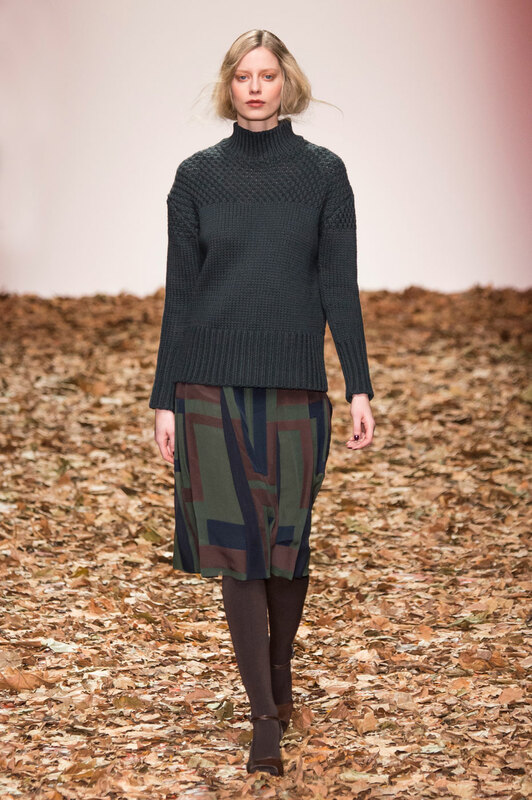 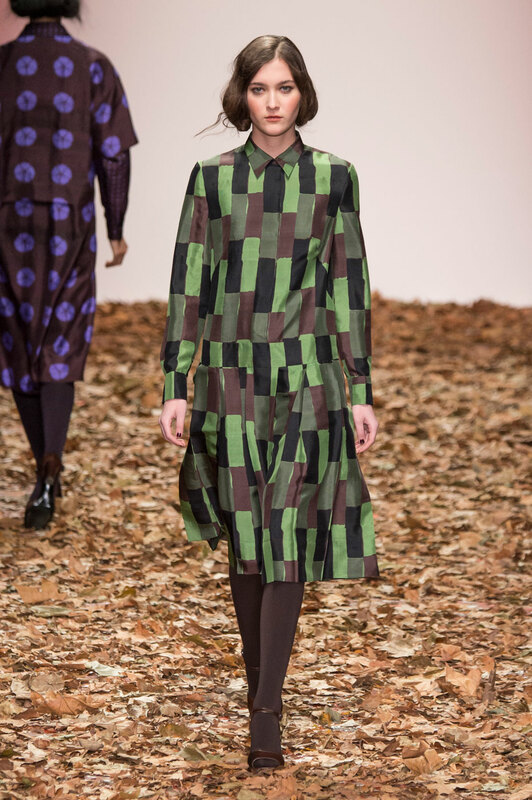 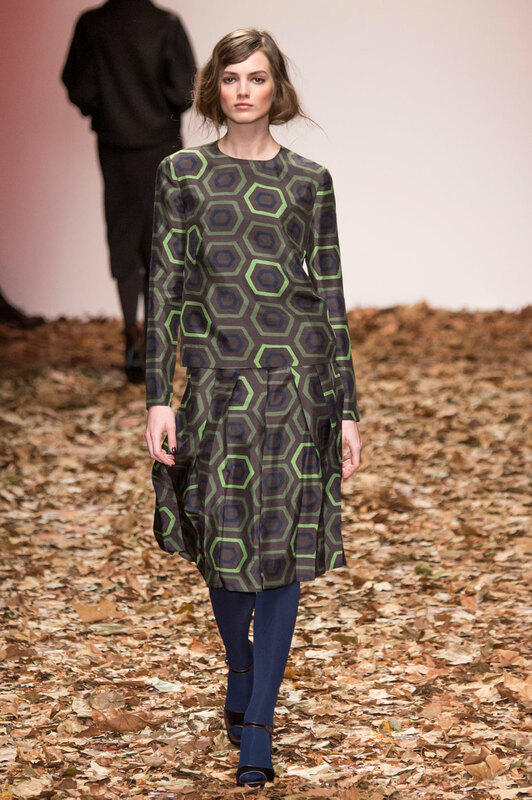 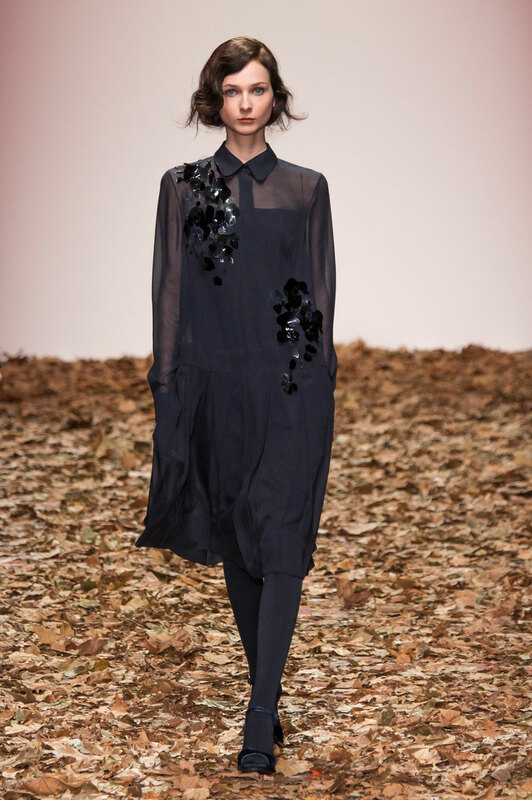 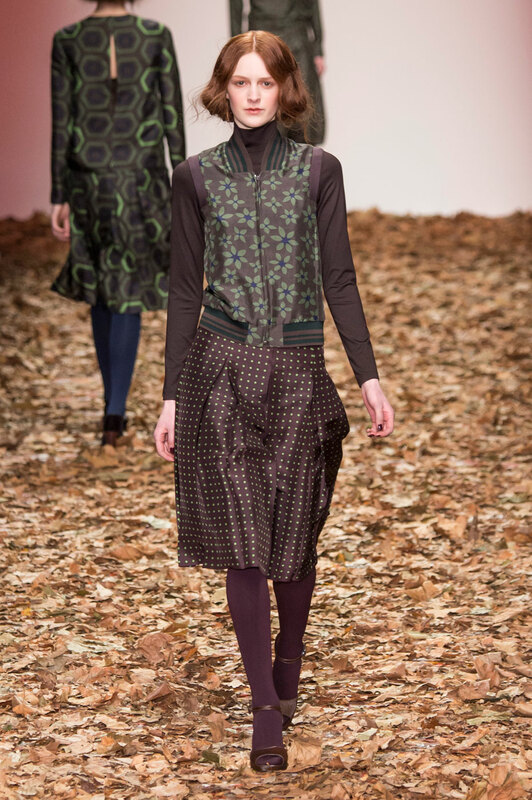 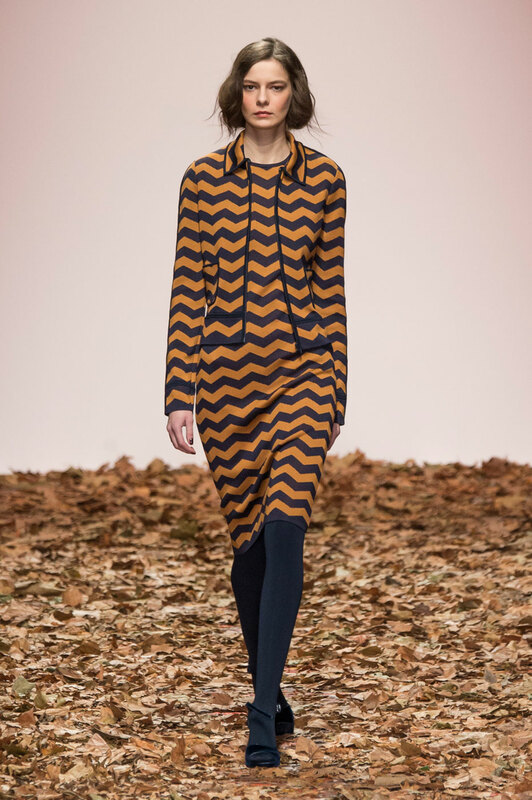 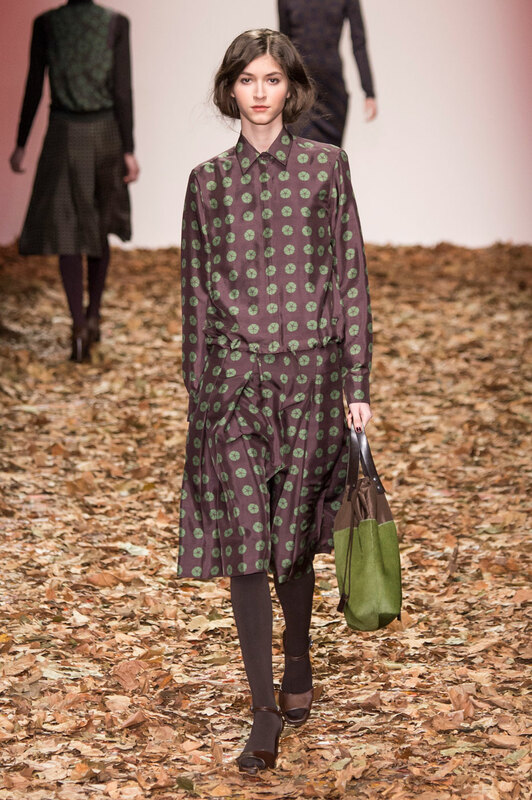 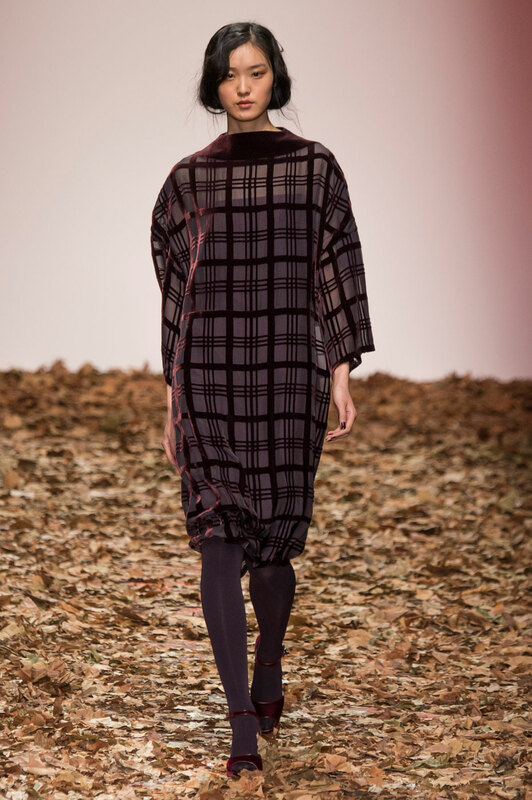 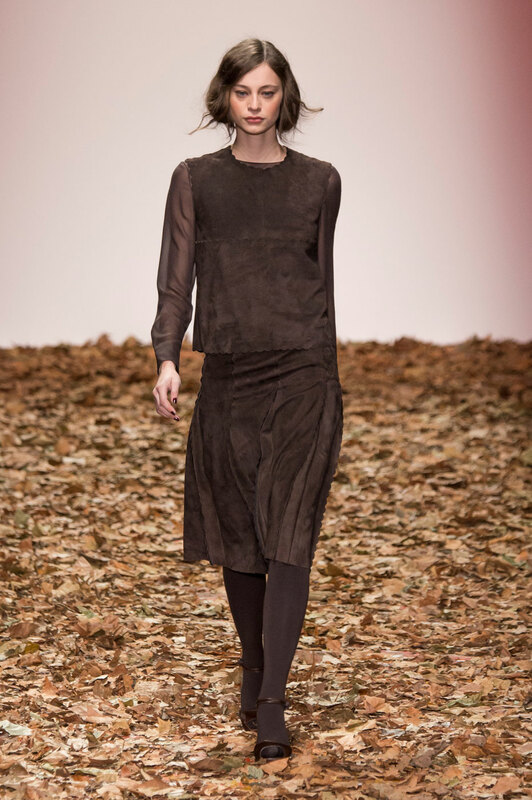 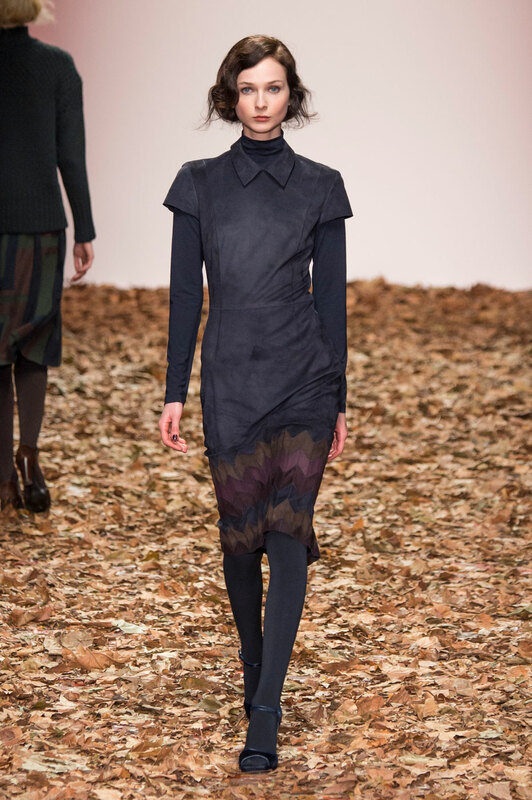 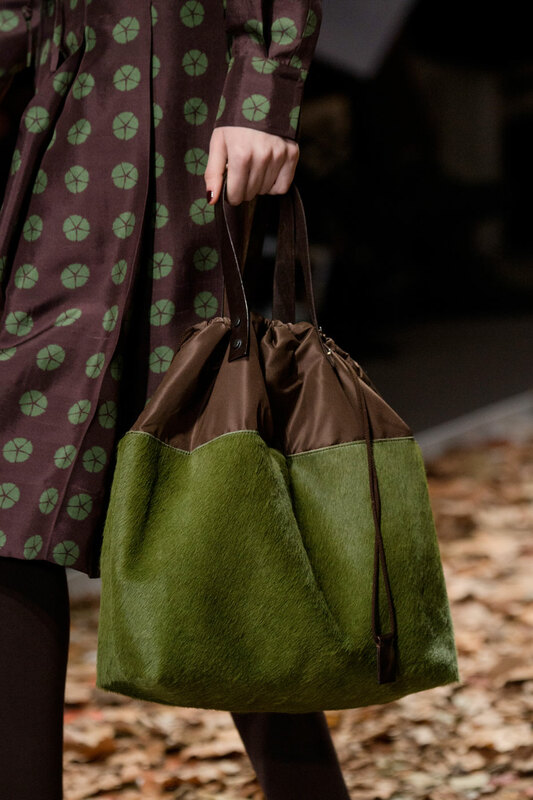 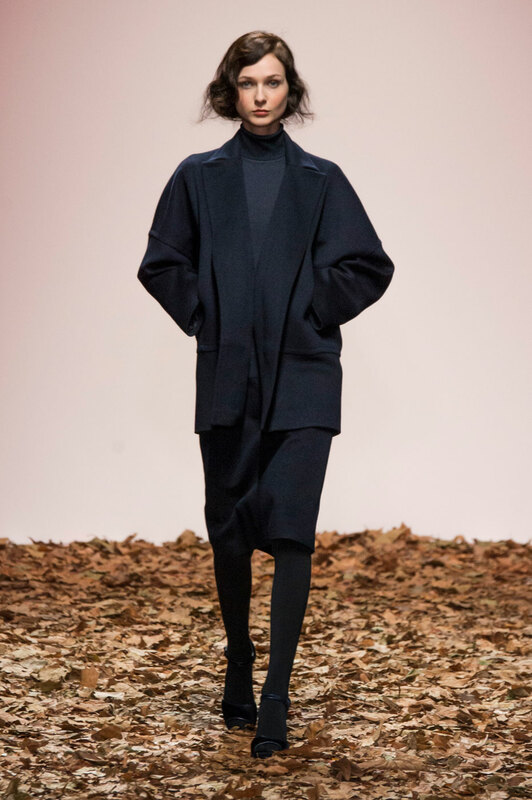 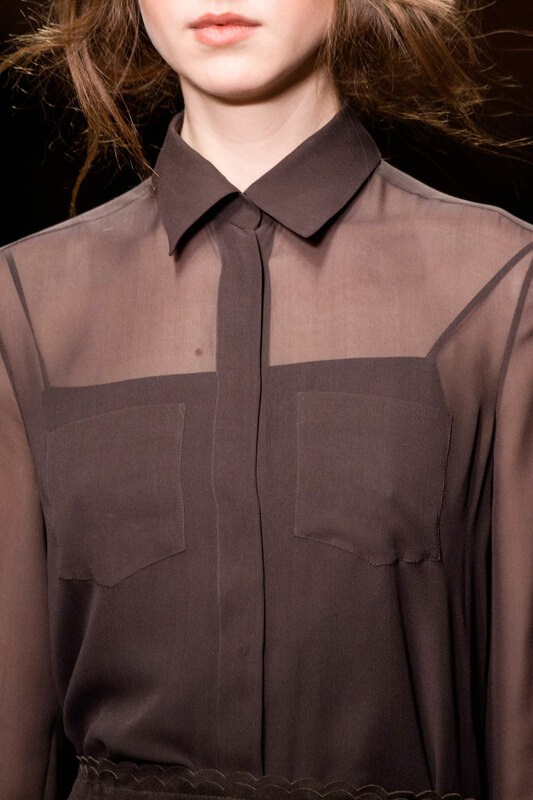 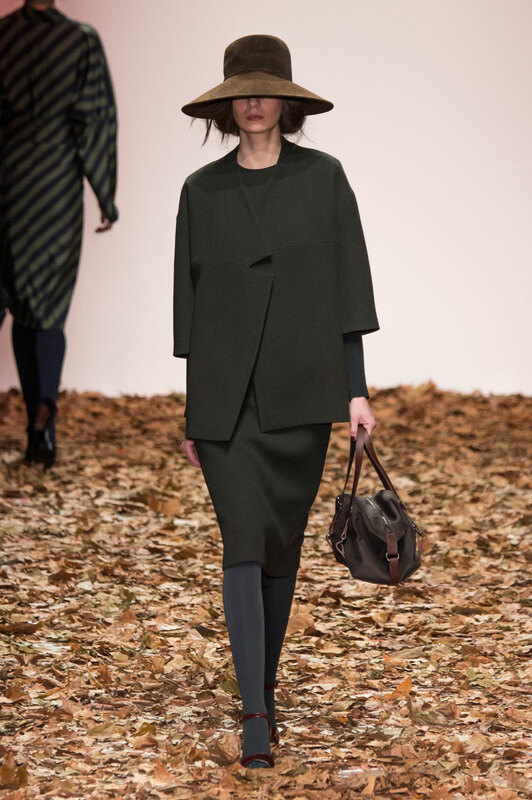 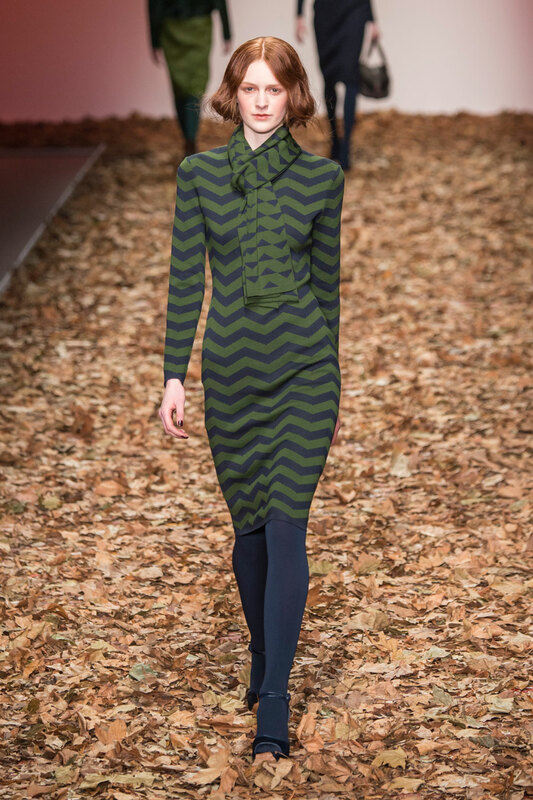 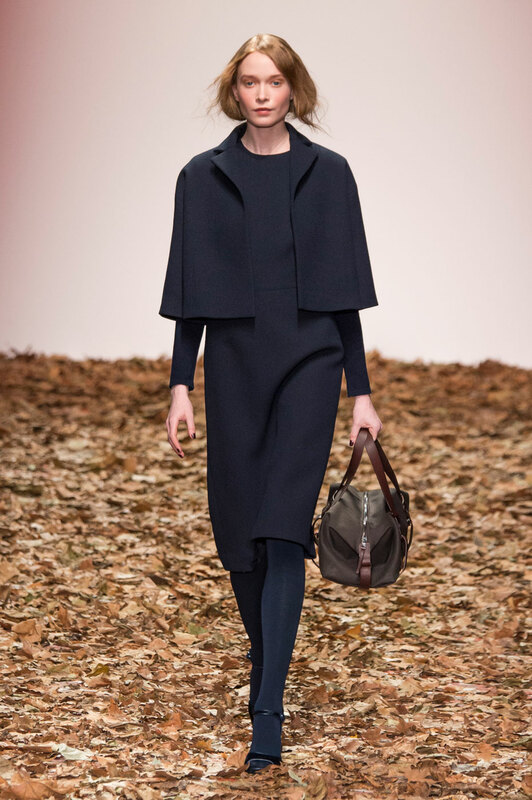 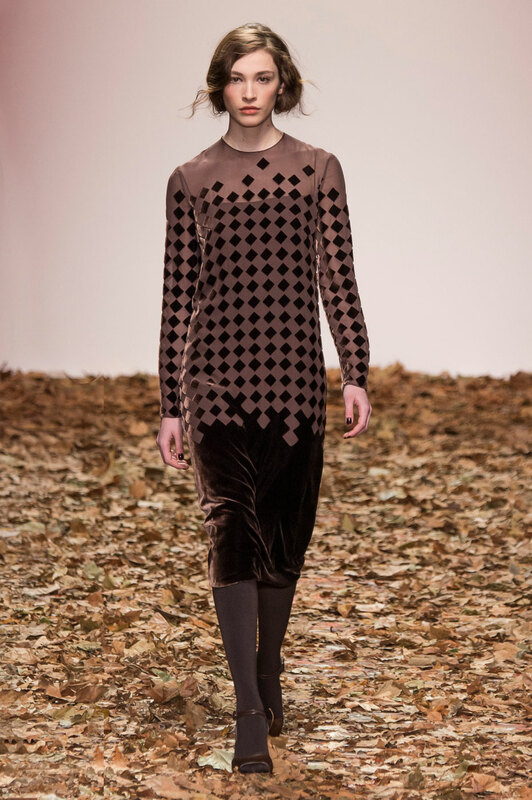 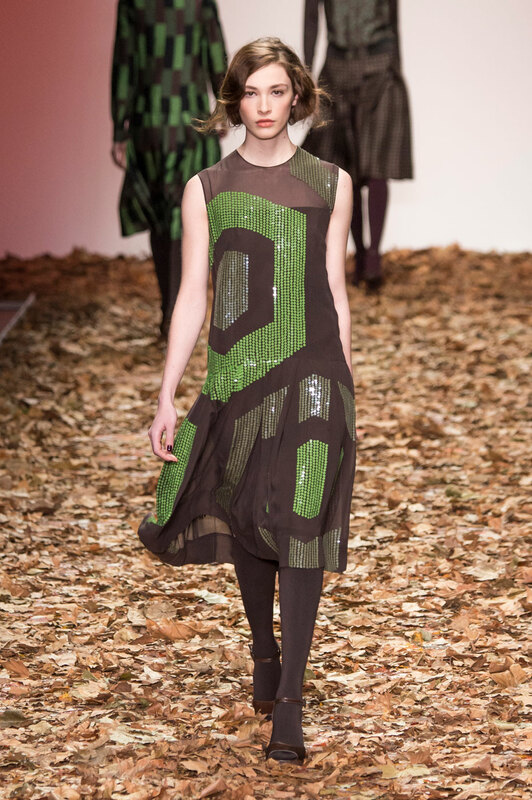 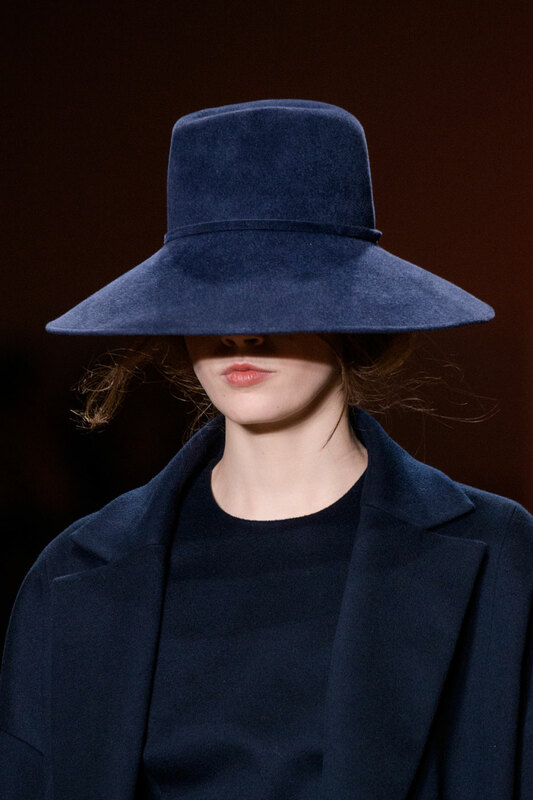 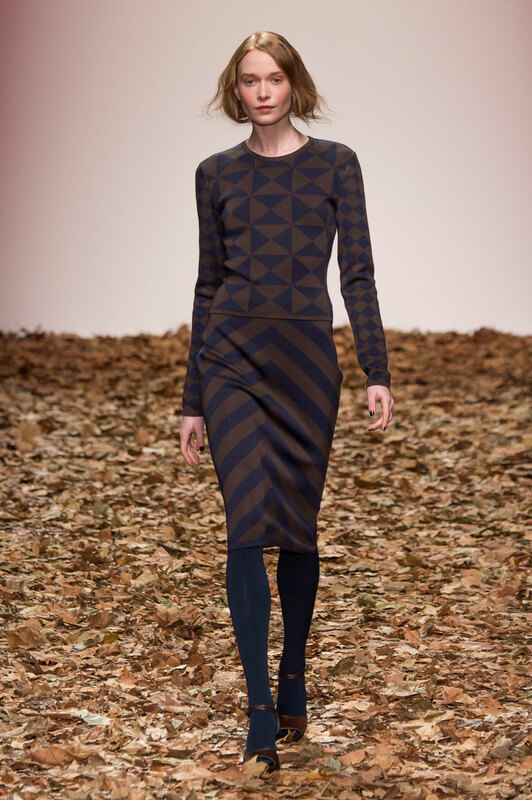 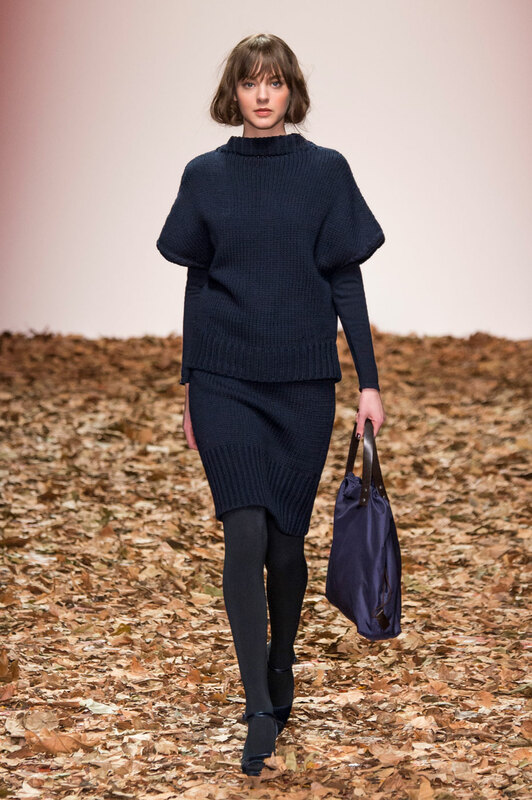 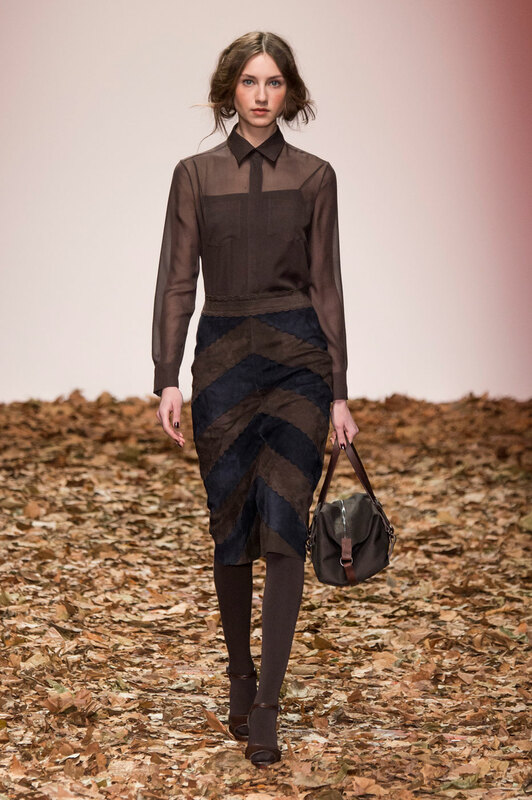 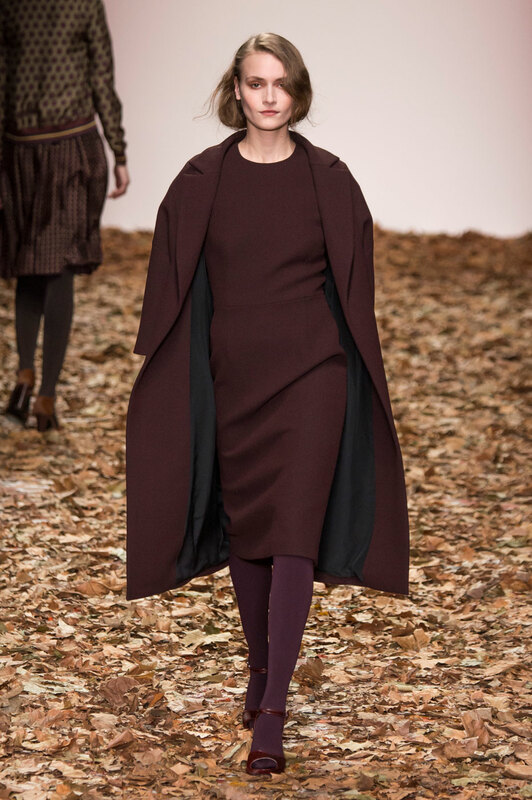 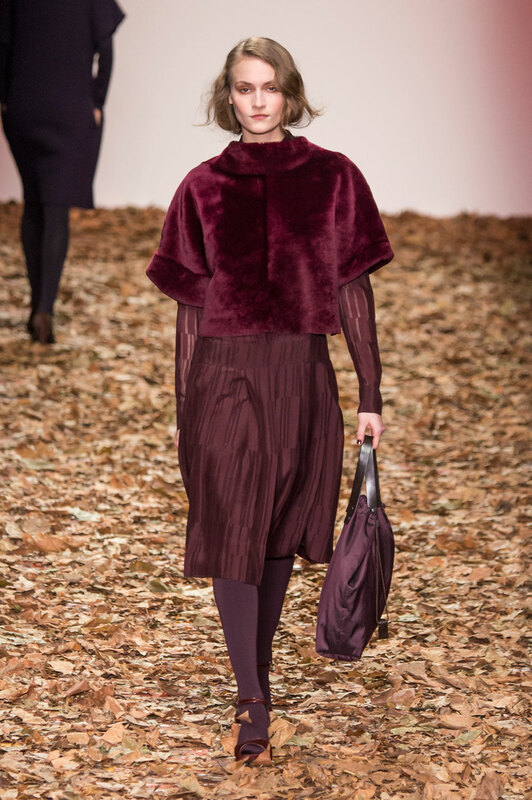 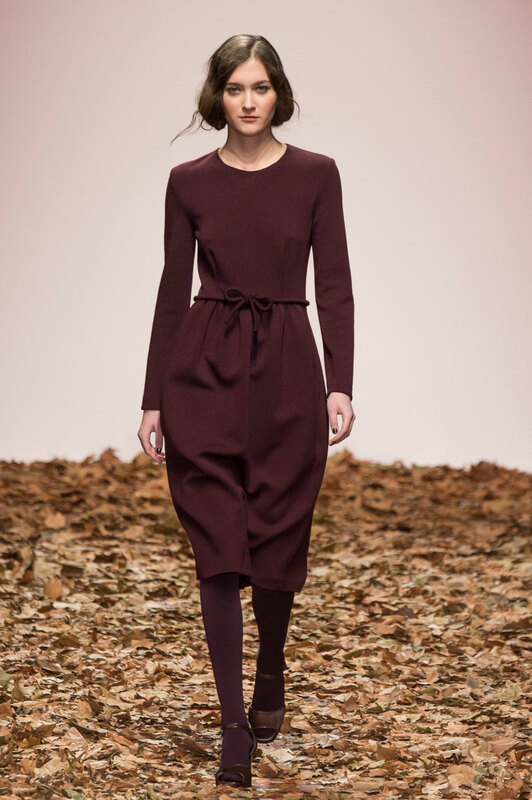 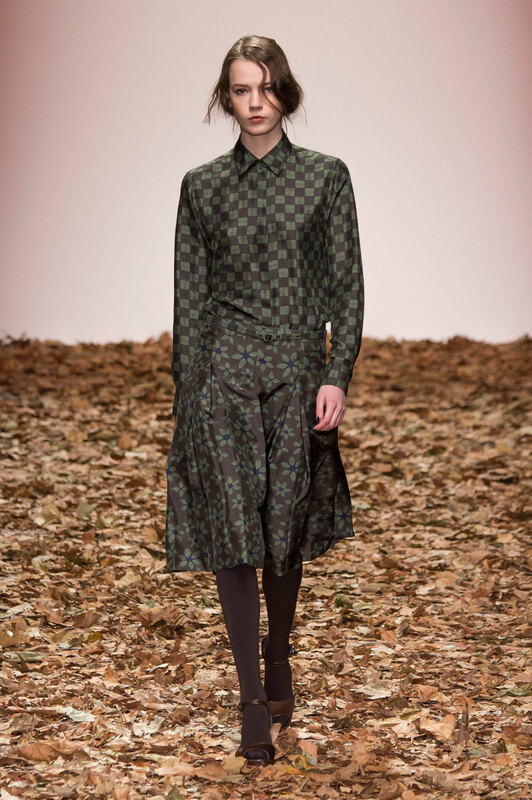 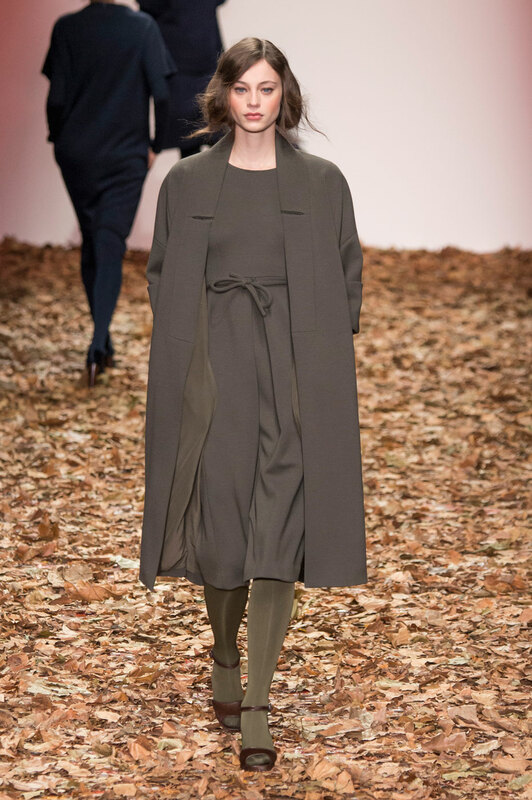 Jasper Conran Women Autumn-Winter 2015 - With a catwalk covered in a thousand leaves and a colour palette of earthy browns and deep greens, Jasper Conran’s collection was the epitome of Autumn. 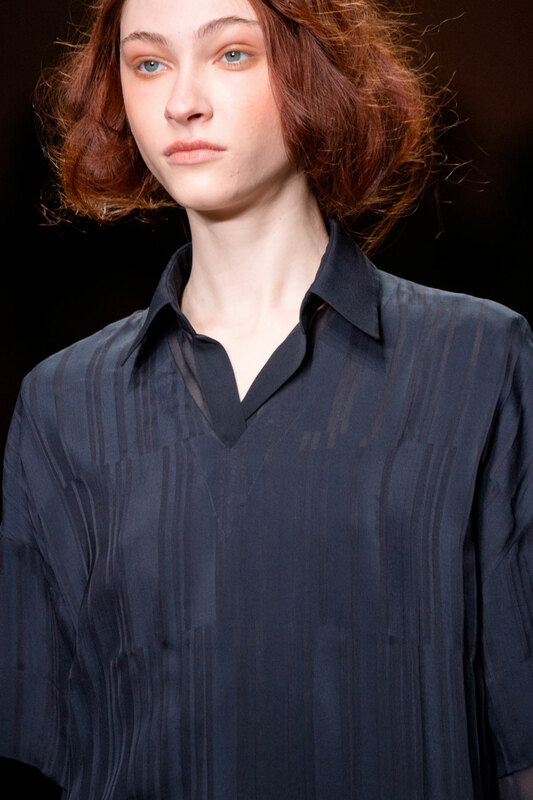 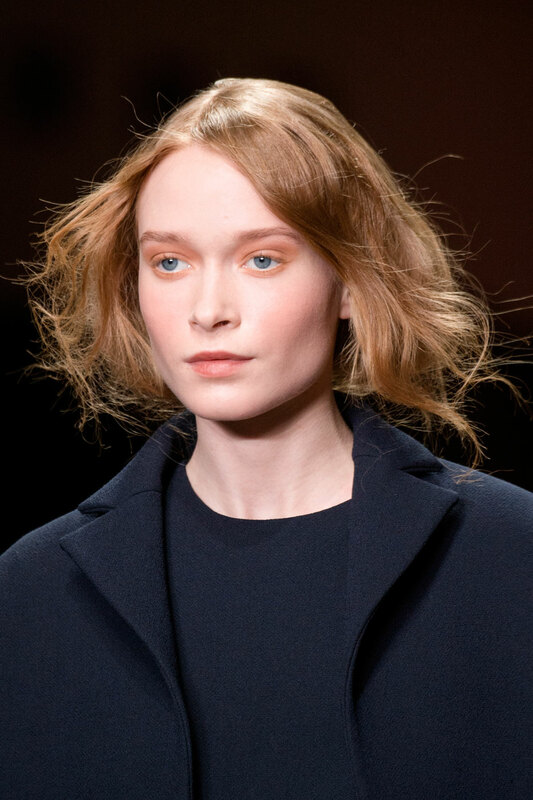 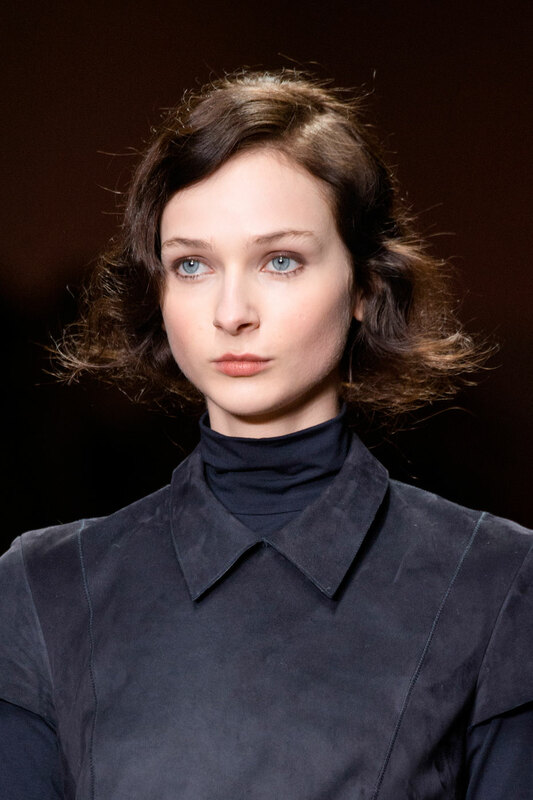 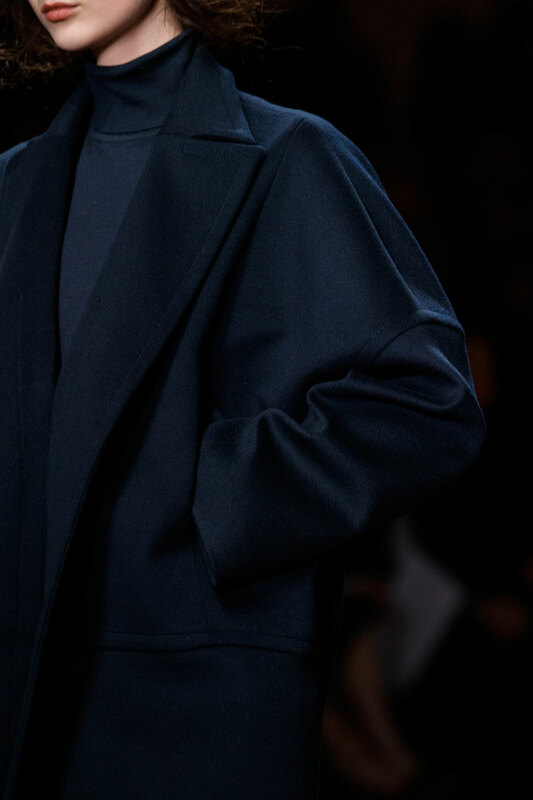 Choosing 1930s inspired faux-bobs and minimal make up to accompany his looks, the styling of the designer’s models reflected the elegant and feminine nature of his collection. 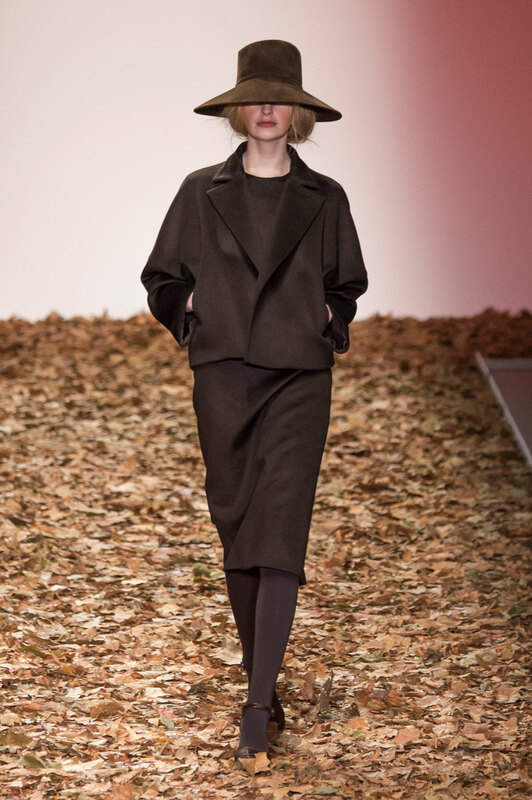 With the setting projecting a feeling of an Autumnal walk in the park, Conran’s collection was both classic and romantic with the opening looks showcasing dedication to traditional feminine tailoring by placing long overcoats over pencil dresses, before accessorising with Peek a Boo hats and woollen tights. 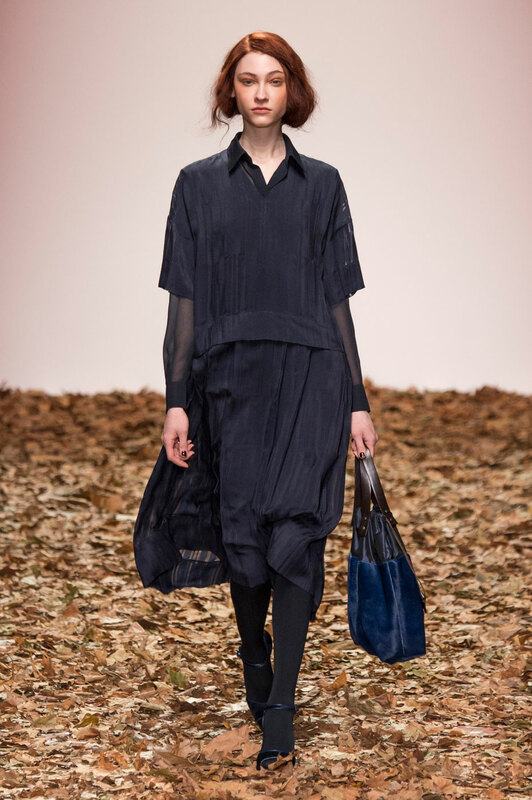 Whilst a number of opening looks were restricted to solely one colour and simple suede materials, the collection soon came alive with a number of looks featuring silky textures and geometric style prints. 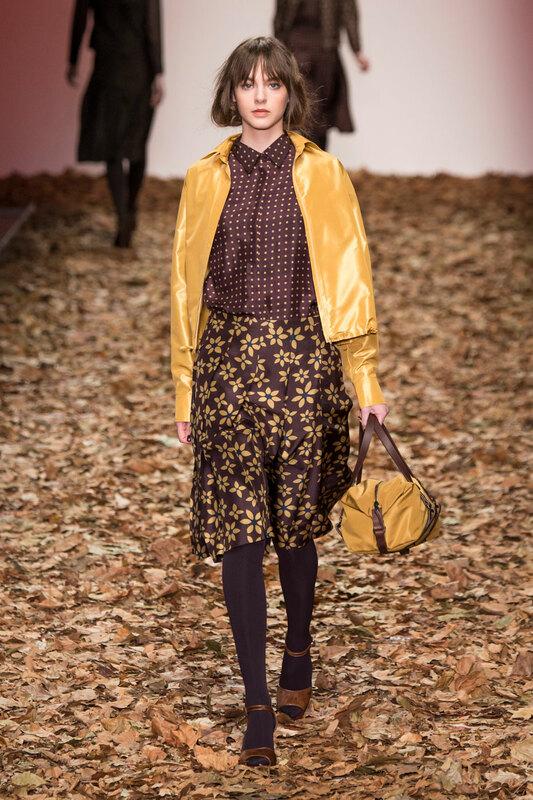 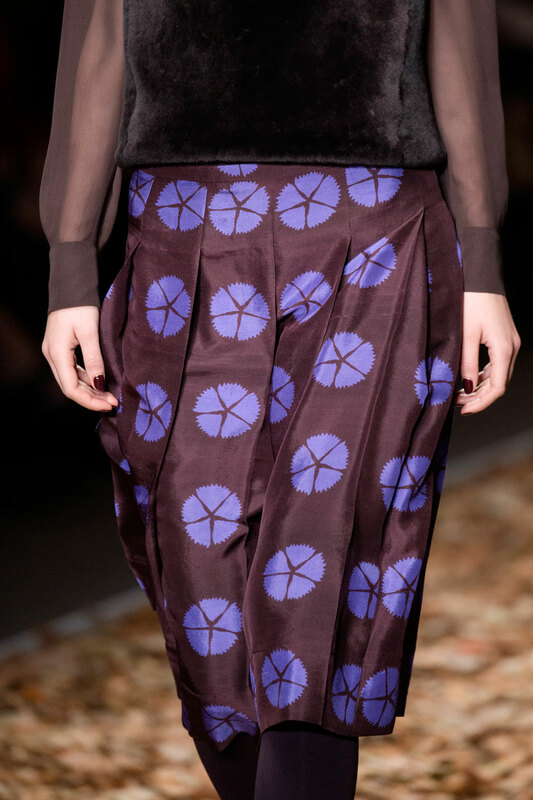 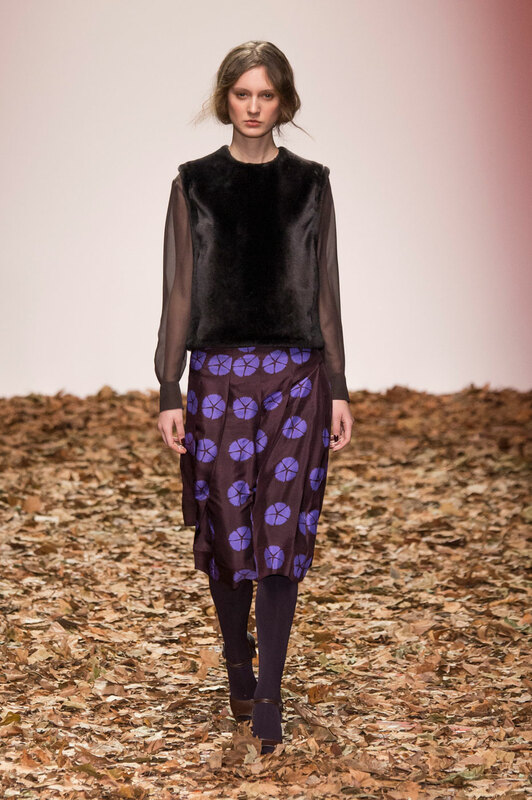 Inspired by Japanese designer Kunisada, fabrics maintained the earthy colour scheme with shades of plum, mustard and brown, although this time the designer experimented by pairing chevron print skirts with contrasting pattern tops and furs. 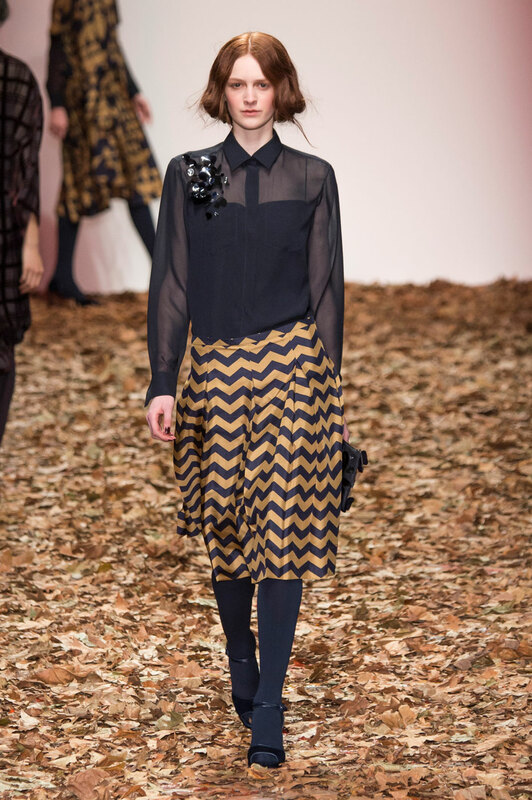 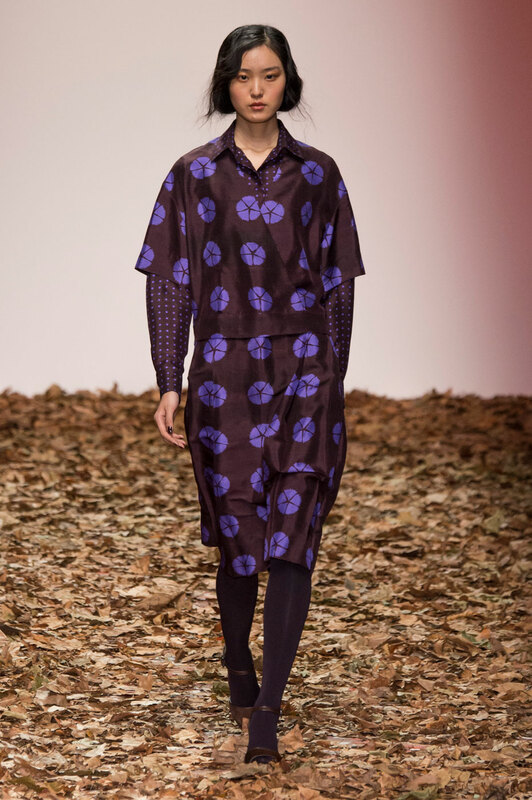 Accompanying several of the print skirts were beautiful sheer, collared blouses and with his final look transforming the blouse into a embellished knee length dress, these pieces are perfect for the transition from day to night.